that were in our studio before we had the blog. Grandpa was on hand for delivery day, and even had the first sit! From dilapidated to stunning. Excavated to the frames; frames refitted as necessary. All interior buildup was conserved. Coil-Spring backs and seat decks, and spring core cushion — which by the way, are the most comfortable cushions ever built! 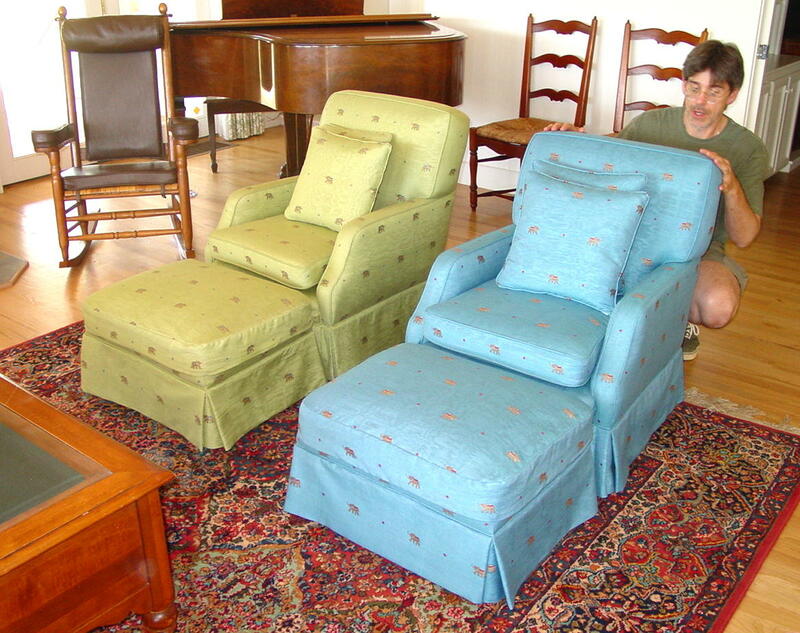 they remove the original buildup and re-stuff seats and backs with foam. This causes early breakdown of internals and is not nearly as comfy! this is a working farm, and dirty boots are not uncommon! hit the floor! The grown-up kids wanted to freshen the look entirely. Feel free to share but please refer to our blog. 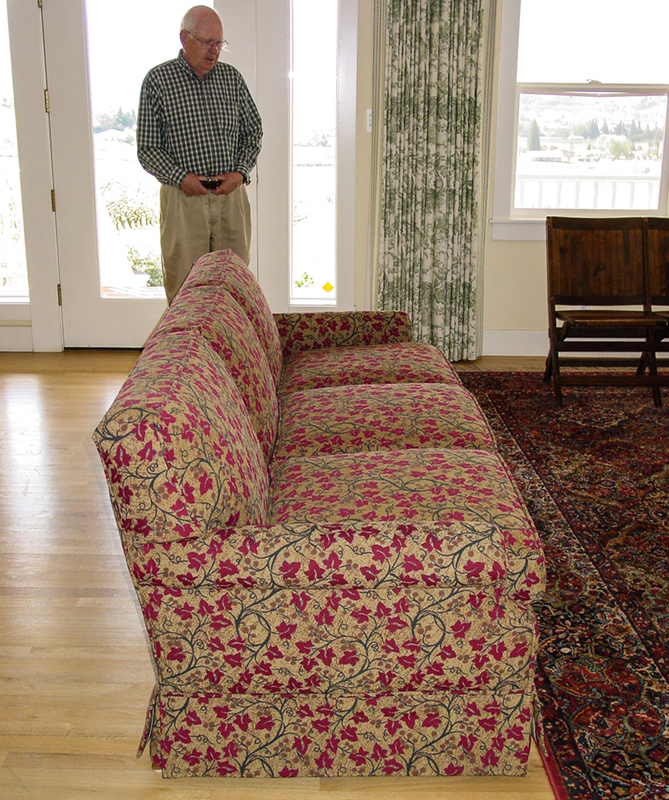 This entry was posted in antiques, chair, conservation techniques, preservation, restoration techniques, textiles, upholstery and tagged #farmliving, #ivyvineupholsteryfabric, #lawsonstylechair, #lawsonstyleottoman, #lawsonstylesofa, #midcenturymodern, #portlandoregon, #traditionalupholstery, #upholsteryconservation, #upholsterypacificnorthwest, #UpholsteryPortlandOregon, #upholsteryrestoration, Lawson. Bookmark the permalink.